Home Latest MORBI – VADH GHAT CAMP BABAT PARIPATRA DATE-22-6-2018. MORBI – VADH GHAT CAMP BABAT PARIPATRA DATE-22-6-2018. Previous articleNARMADA VADH GHAT NA CAMP BABAT PARIPATRA DATE -21-6-2018. 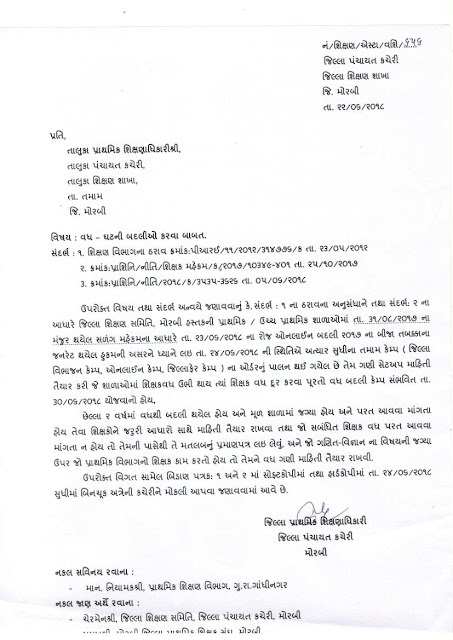 Next articleJUNAGADH- SHALA SALAMATI SAPTAH NI UJAVANI KARVA BABAT PARIPATRA DATE-22-6-2018.